I just read this article and thought you might want to give it a read, too. It\'s called August Offers Best Travel Deals of Summer, According to New Orbitz Insider Index and you can find it here https://www.orbitz.com/blog/2016/08/august-offers-best-travel-deals-summer-according-new-orbitz-insider-index/. Orbitz.com analysts and editors selected five domestic destinations that not only offer great deals but also can yield savings in August as compared to June and July. Throughout the summer, Orlando maintained its position as one of three most popular destinations. While airfare and hotel savings in August appear moderate, at 3 percent and 2 percent respectively, travelers can find some of the best deals of summer with many hotels offering rates below $150 per night. Travelers looking for one last beach getaway on the cheap should consider Panama City where they can find, on average, 11 percent in savings on airfare and 21 percent on hotels. Orbitz.com is a leading travel website where millions of consumers search for and book a broad range of hotels, flights, car rentals, cruises, vacation packages and destination activities. 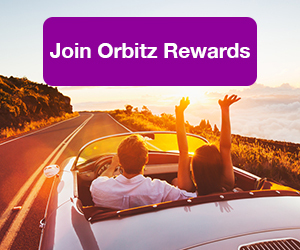 Orbitz.com now offers the groundbreaking Orbitz Rewards loyalty program— the only program where customers can earn rewards immediately on flights, hotels and packages, and redeem instantly on tens of thousands of hotels worldwide. 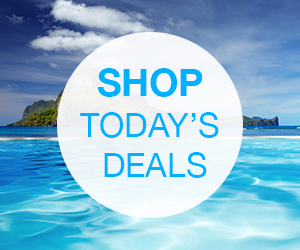 Use the Orbitz Rewards Visa® Card to earn even more rewards. 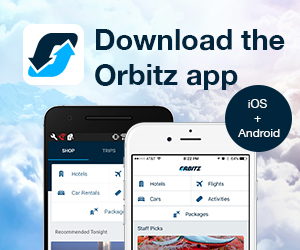 Orbitz.com is the #1 way to book travel on mobile devices, be it using our apps (get them at orbitz.com/mobile) or our smartphone­-optimized website (m.orbitz.com), both of which are tailored for smartphones and tablets. Follow Orbitz on Facebook, Twitter, Instagram and through the Orbitz Travel Blog. Orbitz.com is owned by Expedia, Inc., one of the world’s leading travel companies.©2016 Orbitz, LLC. All rights reserved. Orbitz, Orbitz.com, and the Orbitz logo are either registered trademarks or trademarks of Orbitz, LLC in the U.S. and/or other countries. Other logos or product and company names mentioned herein may be the property of their respective owners. CST# 2063530­50; Hawaii TAR 6881; Iowa 644; Washington 602­108­724Media Contact: Marita Hudson Thomas, +1‐312‐260‐8304, marita.thomas@orbitz.com”Safe Harbor” Statement under the Private Securities Litigation Reform Act of 1995: Statements in this press release regarding Orbitz Worldwide Inc.’s business which are not historical facts are “forward­looking statements” that involve risks and uncertainties. For a discussion of such risks and uncertainties, which could cause actual results to differ from those contained in the forward­-looking statements, see “Risk Factors” in the Company’s Annual Report or Form 10­K for the most recently ended fiscal year.